Customers could be under-covered, particularly those traveling internationally. Something strange happened when we started our Southwest Airlines Travel Insurance Review. Southwest doesn’t actually sell Travel Insurance. Now, this might not sound like a big deal, but for us, it was a revelation. How Bad are Other Airlines Travel Insurance Policies? 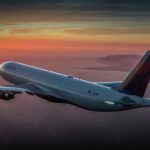 Well, take a look at our reviews of Delta, United, and American. Each and every one of them sell expensive travel insurance with awful cover levels. Even JetBlue follows the same process. It’s a shame that customers of these airlines don’t get treated correctly. We had almost given up hope on the US airline industry, when along came Southwest. 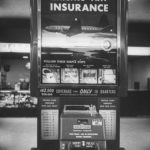 What is the Financial Cost to Southwest Airlines by Not Selling Travel Insurance? $3bn of travel insurance is sold each year in the United States. 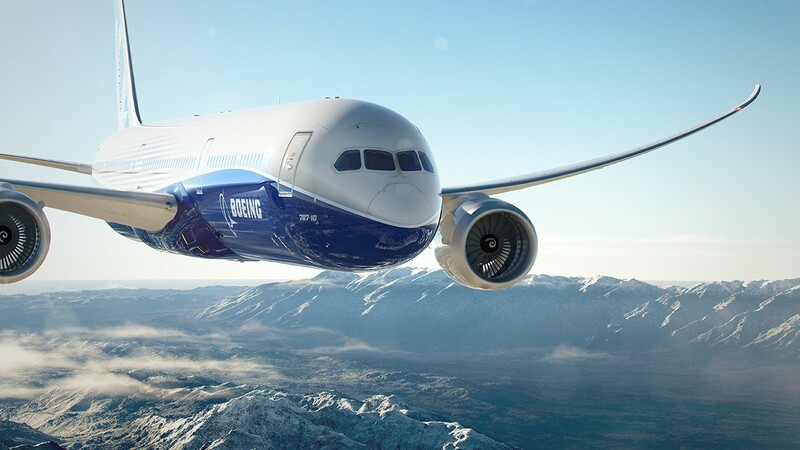 We estimate that the airlines are responsible for $1bn of these sales. Southwest represents approximately 15% of the US airline passenger market each year. As such, we would estimate that Southwest Airlines could comfortably sell $150m of trip insurance, each and every year. Airlines negotiate very high commission and bonus levels with the insurers they work with. We estimate this at 45% of the policy value. What does this mean to Southwest? We suggest that Southwest Airlines is forgoing no less than $65m in annual profit because it does not sell travel insurance. So, Why Doesn’t Southwest Sell Travel Insurance? 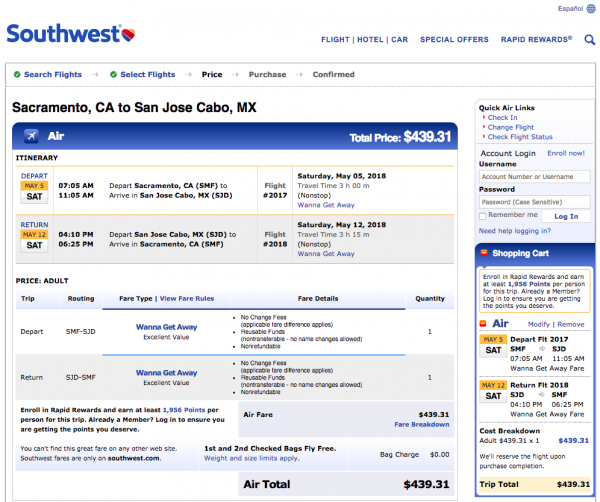 Southwest has an unusual pricing and refund mechanism that other airlines refuse to emulate. Southwest Airlines will either refund or credit a cancelled flight. No other airline that we have come across offers similar customer protection. Frankly, we think it is astonishing. 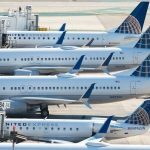 Every other airline creates a myriad of different pricing tools to maximize revenue. The normal method is to make a fare completely non-refundable. If a customer wishes to change a flight, they will lose every cent that they had spent. Some flights can be semi-flexible, but at a higher cost. Truly refundable tickets can cost as much as ten times the cost of a non-refundable. Every single flight that Southwest sells can either be refunded or be credited towards a future purchase. How cool is that? So, the fear that many people have about needing to jump into a more expensive seat to get refundable benefits vanishes with Southwest. We had a bit of a head-scratching moment as we ran flight quotes through the Southwest system. It seems that it is perfectly possible to spend a small fortune on a Southwest flight by taking a ‘Business Select’ flight. 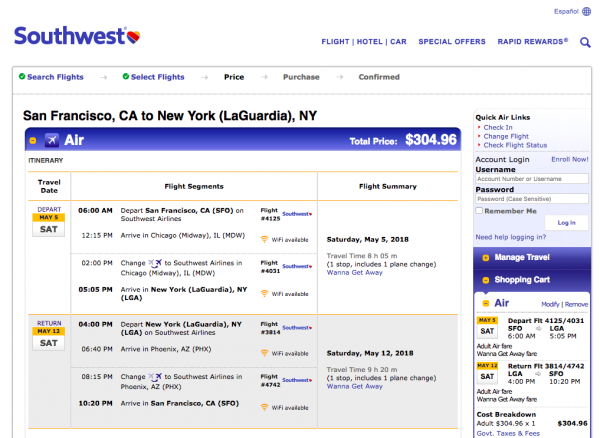 Here is a $304 Return from San Francisco to New York in May. We consider that this represents incredible value. Yet on the exact same flight schedule we can spend $1,209. This doesn’t make a whole lot of sense to us. So, be very careful when making your booking selections with Southwest. It is quite easy to turn a low-cost flight into something that looks much more like a business class trip. But, without the lie-flat seat. Here are the additional booking benefits for the ticket that is four times as expensive. So, I Don’t Need Travel Insurance if I Fly Southwest? Here is where we run into a problem. Because although flight cancellation protection is one very good reason for taking flight insurance, there are many others. The contents of your luggage are probably important to you. A cheap travel insurance can offer some protection if the bag is lost or delayed. Travel Medical Insurance cover may be the most important reason to buy Southwest Airlines Trip Insurance. The majority of us have some form of health insurance at home. But many health insurance policies have limited useful cover when we travel. This is certainly the case when we travel internationally. If you are flying international with Southwest then definitely call your health insurer. It is highly unusual to have health insurance that works internationally. However, a cheap Southwest Airlines Travel Insurance policy will provide extensive health benefits during a vacation. With foreign private hospitals charging $3k – $4k per day, it makes all the sense in the world to carry travel health insurance. Even domestic travel can present a challenge to a traveler who does not take travel health insurance. Home health cover may not function out-of-state, or out of network. If it does, it is likely that there will be much higher co-pays. A quick call to your health insurer will allow you to understand if you should buy Southwest Airlines Travel Insurance. 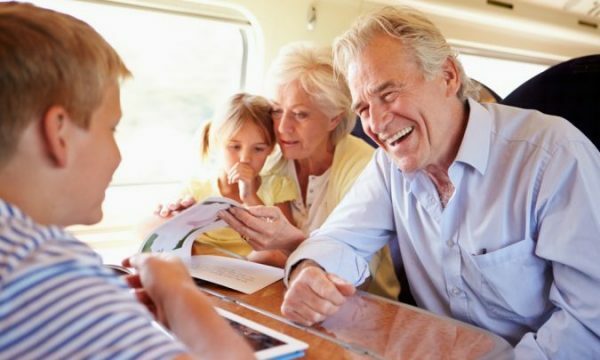 Travel Medical Evacuation cover gets you to the nearest suitable medical facility. This type of cover is embedded into every comprehensive travel insurance. Whilst this is relevant for domestic travel, we think it essential when traveling internationally. A private jet medical evacuation from the Caribbean back to the USA could cost $100k. There is no way that an individual traveler wishes to be responsible for such an expense. The best Southwest Airlines Travel Insurance will have this type of cover built in. We strongly recommend it. 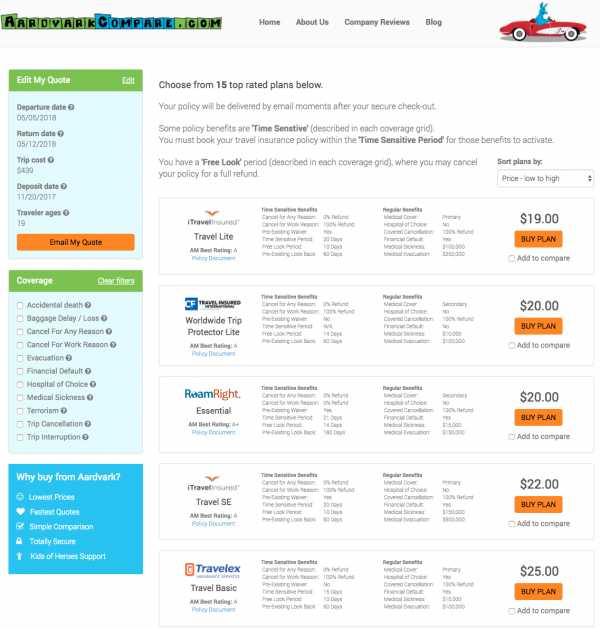 AardvarkCompare was designed as the world’s fastest travel insurance marketplace. Our service is incredibly simple. We partner with some of the largest travel insurance carriers in the USA. We take your travel information and retrieve quotes from our travel insurers for your trip. The rates we provide are the same as if you went to each trip insurance carrier directly. We do not mark up their prices. We do not charge a cent more. 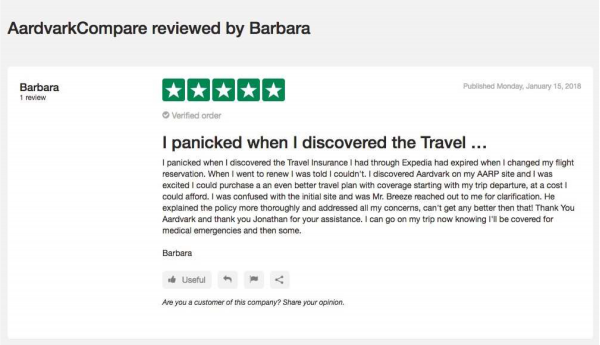 Our travel insurance partners have incredibly strong ratings. Each has an A.M. Best rating of at least ‘A’. Your trip information is passed anonymously to the travel insurers. This way, you will not be inundated with insurers trying to make contact with you. We do not sell your information to others. Within one minute, you will have a range of travel insurance options to choose from. You will get to see the carrier ratings, prices and coverage. All on one screen so as to make buying travel insurance simple. We are initially looking for travel insurance for our flight from San Francisco to New York. Clearly, there are a number of different travel insurance carriers available for us to choose from. For this particular trip, the absolute lowest cost travel insurance would be the iTI Lite Travel Insurance. We think that it has very strong cover, and super-low prices. The benefits associated with this $19 policy are significant. Each traveler will need to decide as to whether travel insurance is important for them on a domestic trip. But, note the strong cover and low prices of this policy. 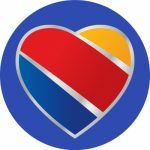 Southwest is not just a domestic airline. Indeed its route map is growing each year, it seems, with international options. None of these are jumping out as having inexpensive world-class health care. It is highly likely that your personal health insurance will be useless outside of the USA. It is inconceivable to us that a traveler would head to another country without medical insurance in place. The best Southwest Airlines Travel Insurance that you could find would have strong medical and evacuation benefits in place. We want to see at least $100k of Travel Health Insurance cover, unless the traveler has benefits in another policy. Health care costs of $3k-4k per day in a private hospital quickly add up. Our recommendation for Medical Evacuation Insurance cover is for no less than $100k if the vacation is close to the United States. This should suffice for locations that Southwest flies to. Once we move to longer range travel, then higher cover levels are recommended. $250k of evacuation cover is recommended for those travelers in Africa and Asia. Mexico is a popular destination for US travelers. It is one for which we offer an in-depth insurance review – Mexico Travel Insurance Review. There are no circumstances that we could think of where we would fly into Mexico without very strong Travel Medical Insurance. It is not that there is anything wrong with the hospitals, doctors and nurses in Mexico. Far from it. The private health care facilities in Mexico are world-class. Indeed, the same can be said for the majority of the countries that Southwest Airlines flies to. But there is a substantial financial cost to receiving care in a world-class facility. And without travel health insurance to pay for this care, the entire costs of treatment and medical evacuation will fall upon the traveler, or their family. A trip to Cabo San Lucas sounds idyllic. At only $439 this looks like a great option from Southwest Airlines. We are flying from Sacramento to Cabo, direct. Here are the AardvarkCompare travel insurance options for this flight. 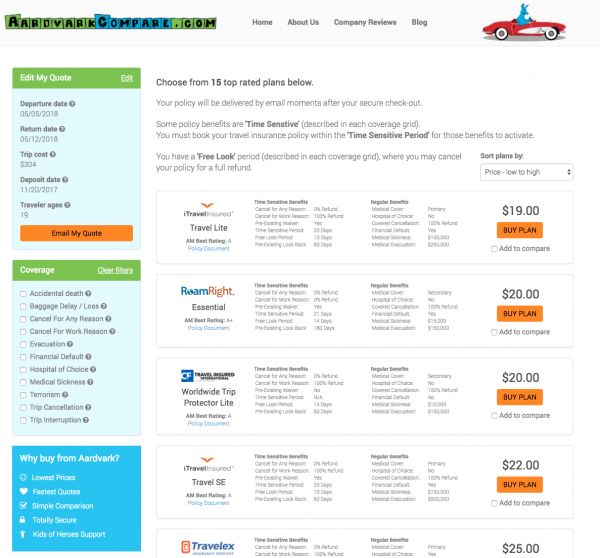 Note that again, we can find cheap Southwest Airlines travel insurance from only $19. Again, we like the iTI Lite policy for this trip. The coverage benefits of such insurance for an international trip ought to be obvious. $100k of Travel Medical Insurance cover is a substantial benefit. $250k of Medical Evacuation Insurance cover should be more than sufficient to get you to the best health care facility, if something terrible happens. In this example the cost of this cover for our week in Cabo was only $19. We know that may of our customers are parents and grandparents. They worry about youngsters in their family and how they can protect them. We all get particularly worried when we think of low-cost airfare to Mexico and the Caribbean. 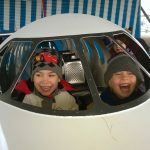 We know that this is exactly the sort of vacation that our kids or grandkids would love to go on. And probably, they won’t even dream of buying travel insurance. Could we not just buy travel insurance for them? Of course you can. In fact, most of the time travel insurance is bought by someone else. The head of the household will often buy cover for the whole family. Each family member, or friend, will get their own policy. We cover these issues in this excellent article. Better to buy an inexpensive policy for your children than have to mortgage the house to get them treated and brought back home. Southwest Airlines offers its customers a great service by not emulating other airlines. They do not try to force customers into buying high-price, low-benefit trip insurance. However, many Southwest Airlines customers should buy Travel Insurance. Southwest customers probably do not benefit from having robust travel cancellation benefits. 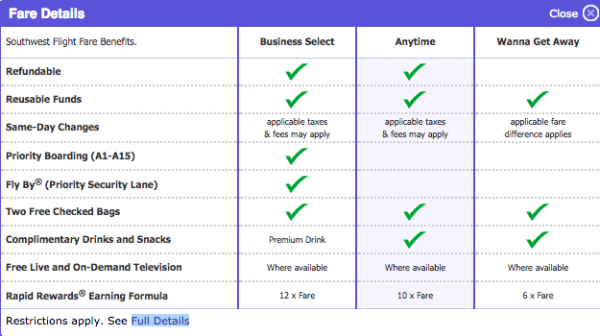 These are already embedded into the excellent pricing structures that Southwest Airlines offers. 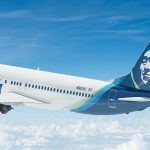 Customers are able to either have their cancelled flights fully refunded, or credited for a later date. We think that this is a highly innovative rebate system. 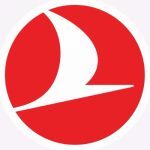 If only other airlines would emulate this. We believe that Southwest Airlines Travel Medical Insurance would be valuable. We think that such medical insurance is often very useful on a domestic flight. With any form of international travel we consider such Travel Medical Insurance to be critical. Please do not head off to Mexico or the Caribbean without thinking of trip insurance.